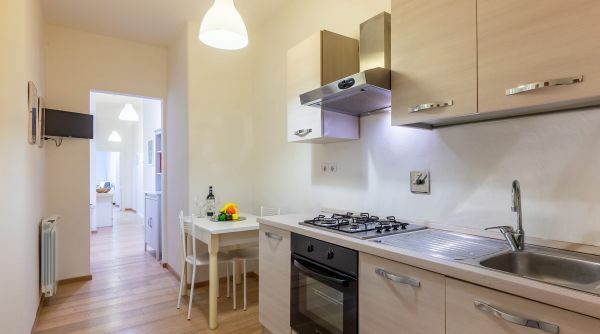 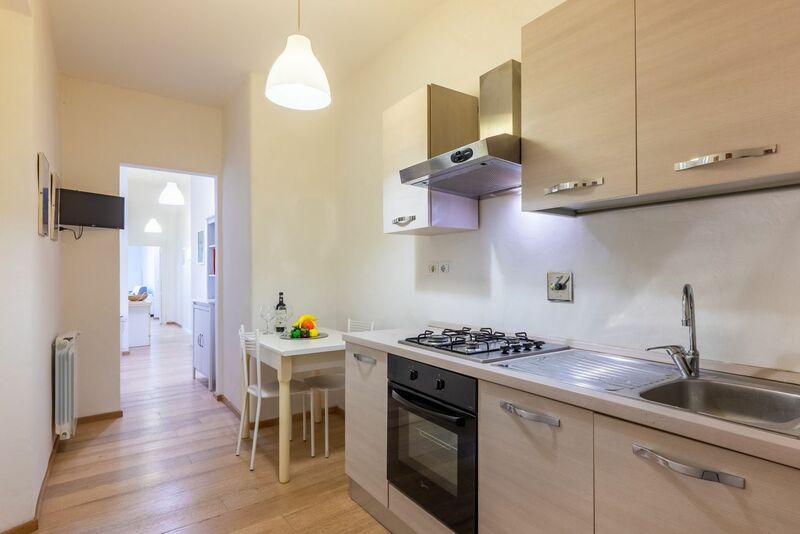 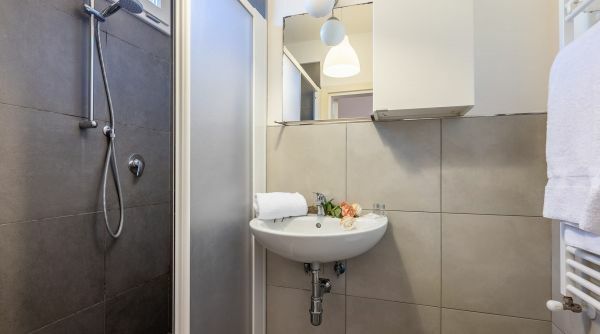 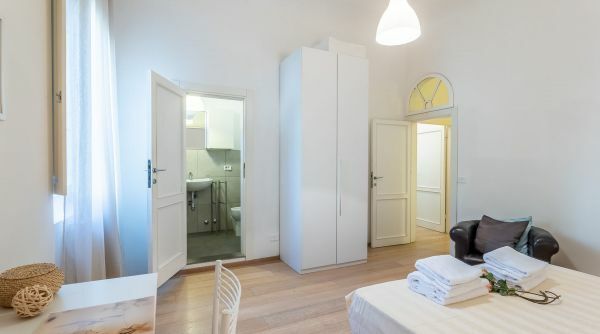 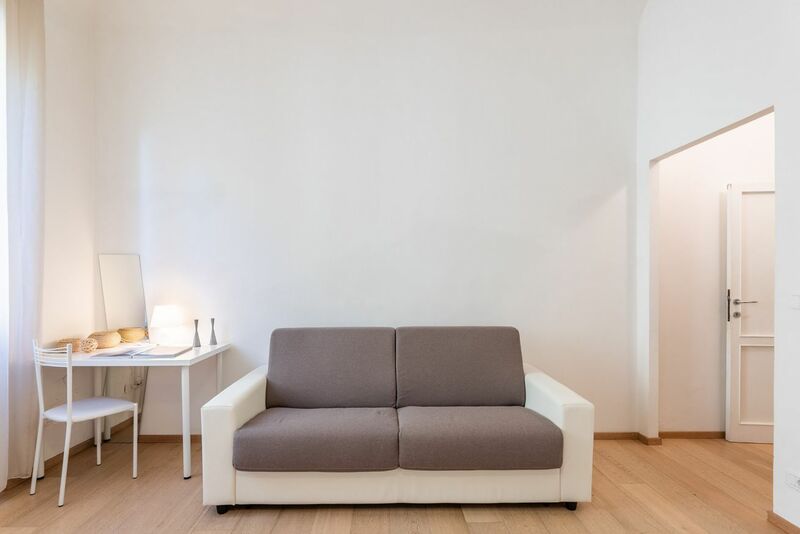 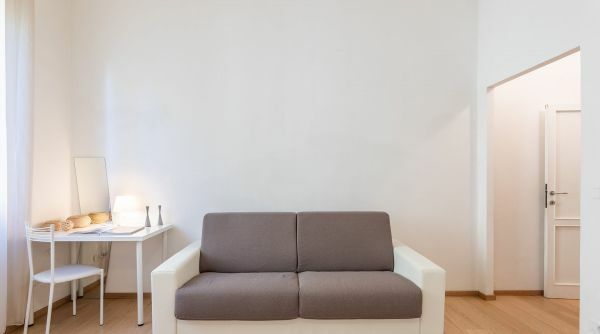 Pepi 2 bedrooms is a modern three rooms flat locate just steps to Piazza Santa Croce in Florence. 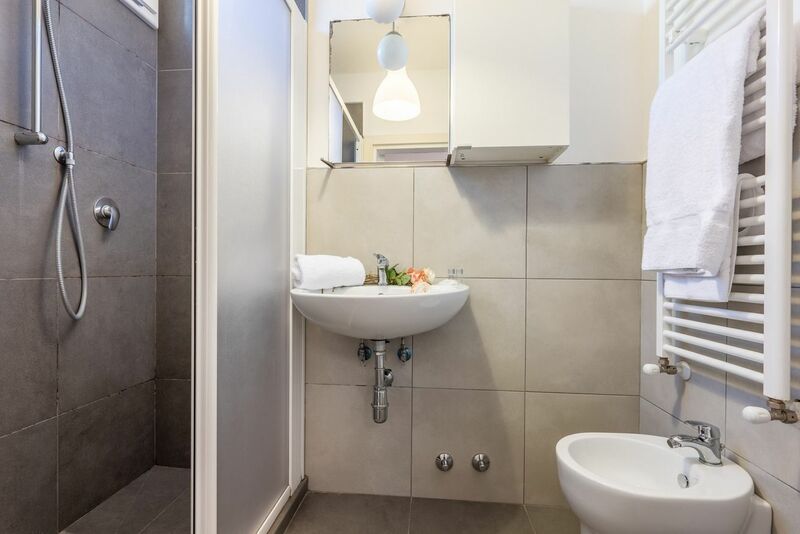 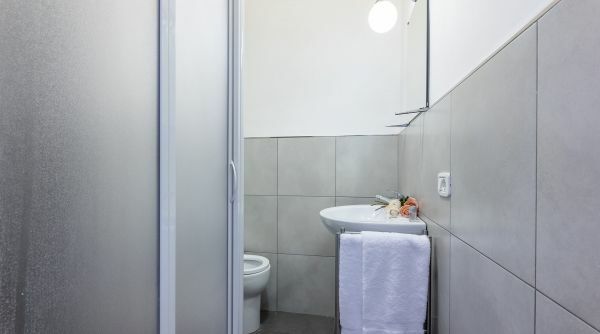 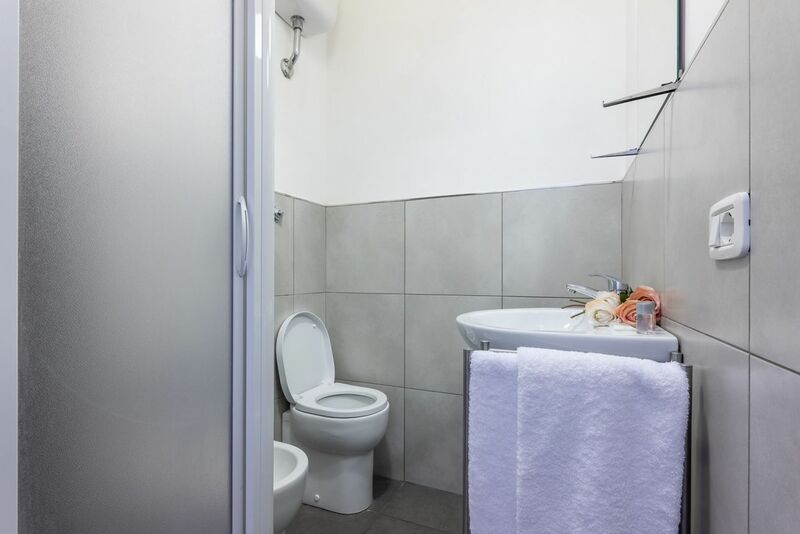 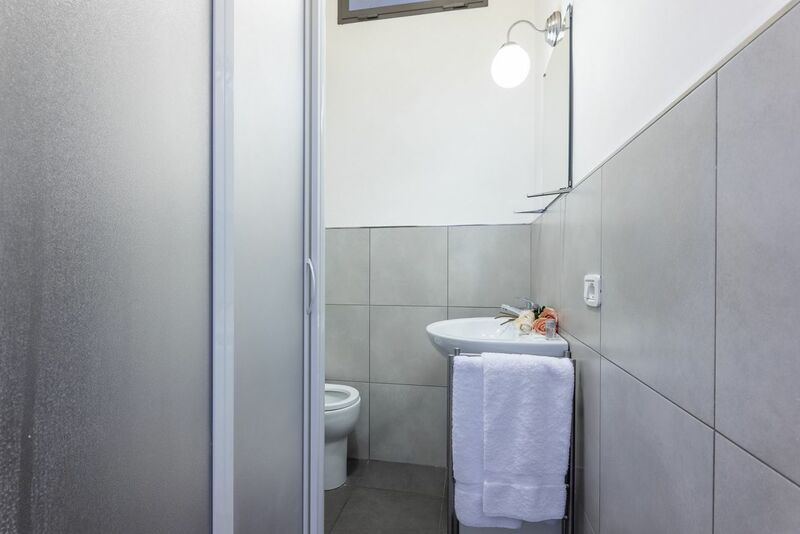 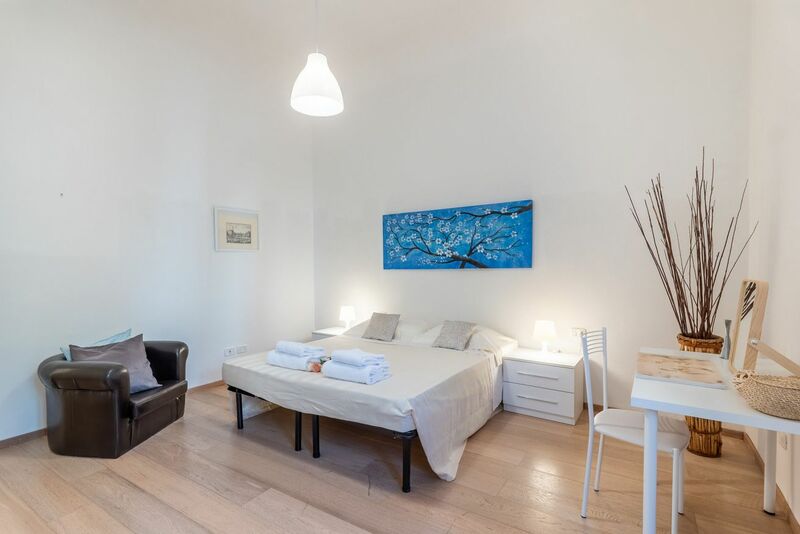 The apartament has 2 bedrooms (the first one with two single beds, the other with two beds and a double sofa bed), two full bathrooms with shower and a well equipped kitchen. 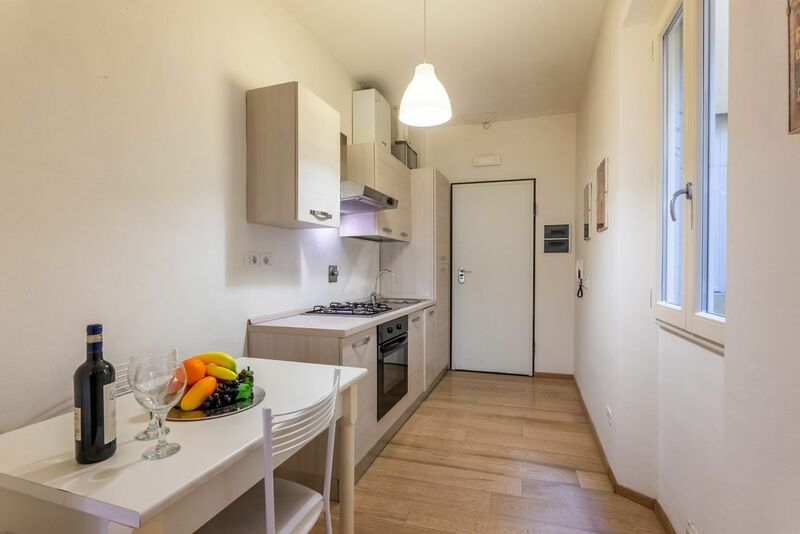 Perfect for a family or a group of friends, this apartment can accommodate up to 6 people and, among the many comforts, has air conditioning, heating, TV and internet Wi-Fi. 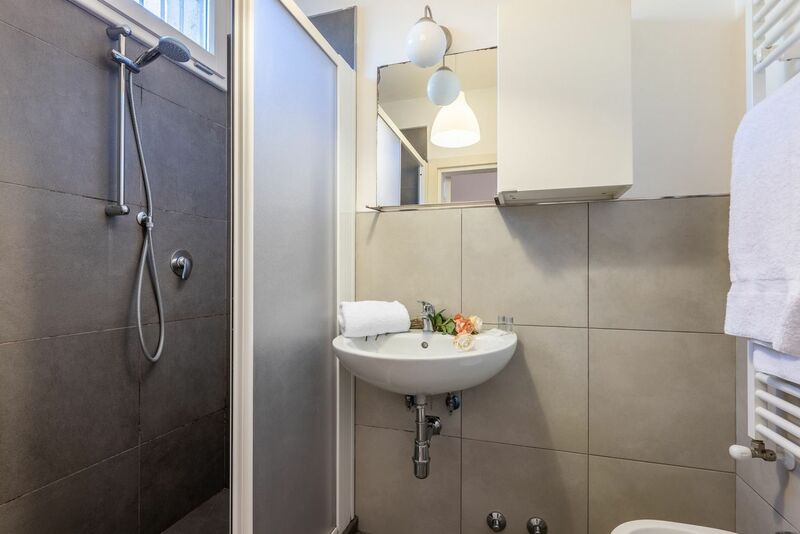 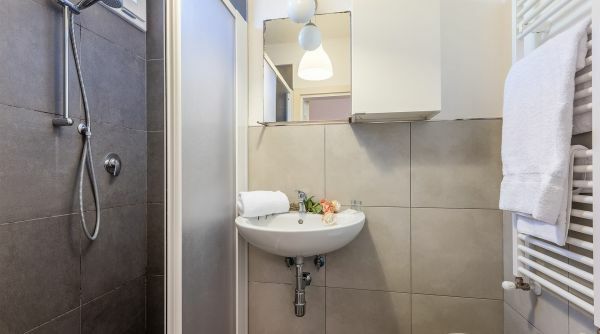 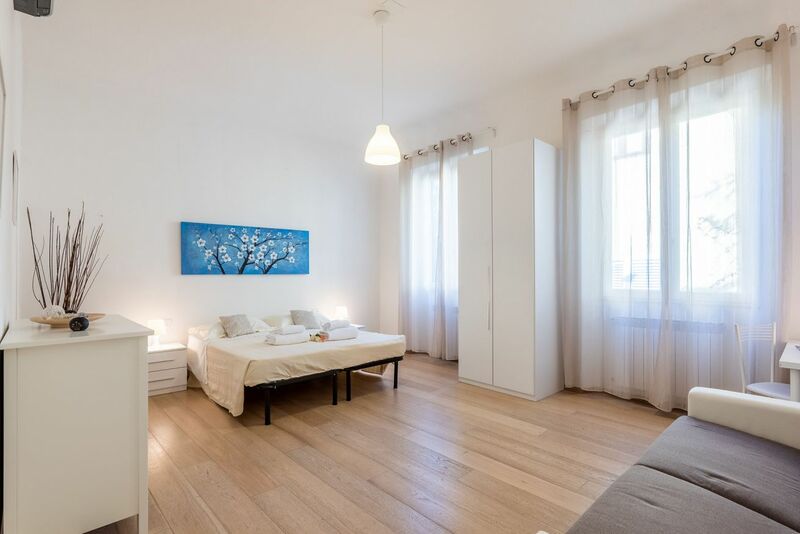 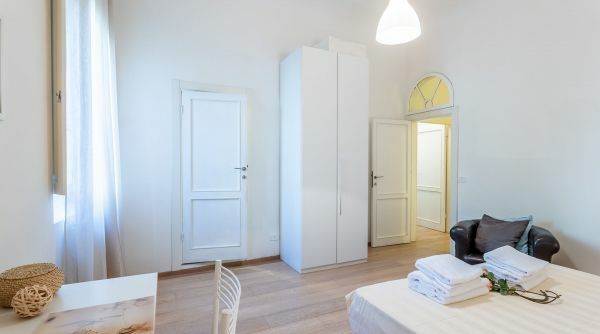 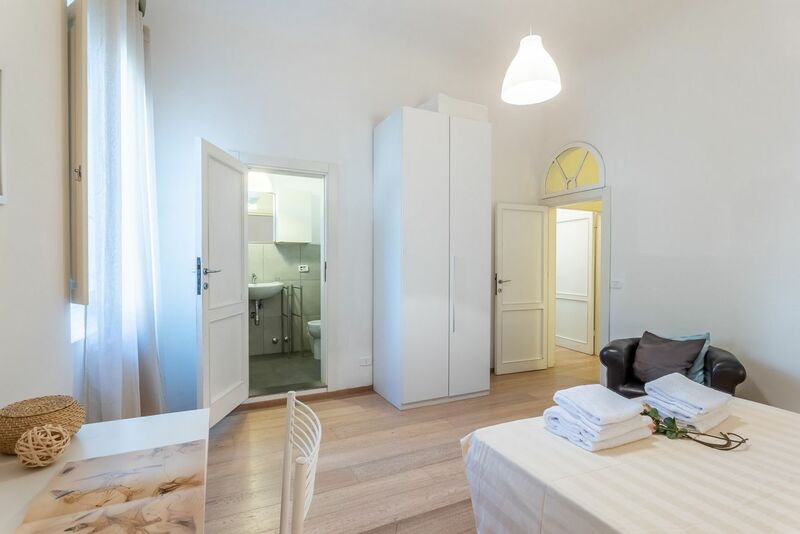 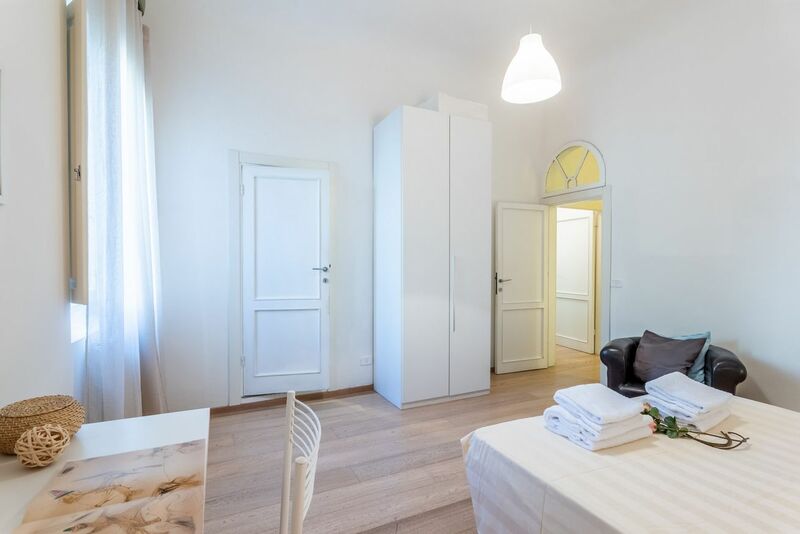 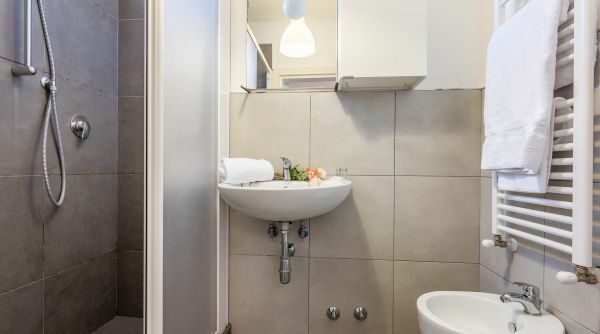 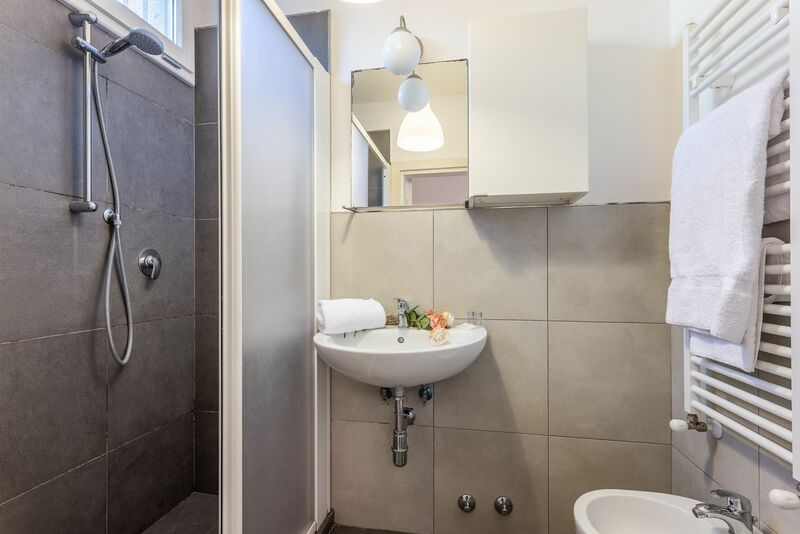 Our three rooms flat to rent in via dei Pepi in Florence is located in a perfect position into the historical district of Santa Croce just steps to the main square and to all the most important monuments of the city as the Duomo and Palazzo Vecchio. 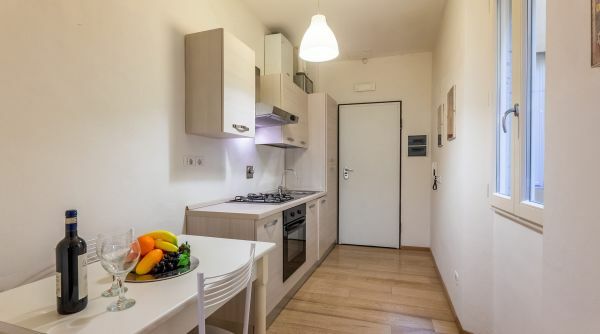 The surrounding area is very lively and full of clubs and restaurants where you can spend some quality times with firends and family during your stay in Florence.